When it comes to physical fitness, are you craving better results in less time? If your answer is yes, you should consider the High Intensity Interval Training (HIIT) classes at BEAT Fitness. Our gym in Wexford, PA offers some of the best HIIT workouts in the Pittsburgh area. This is the workout for those too busy to workout. Imagine achieving the maximum health benefits of exercise without the time commitment? Wouldn’t it be great if the benefits of an hour-long run or workout at the gym could be packed into just a few minutes? That’s the idea behind our HIIT training in Pittsburgh. Short bursts of strenuous exercise for big impact. Remember the first “I” stands for intensity. These our tough workouts where you’re pushing your body near its limit. You’re going to sweat and be breathless. You’re going to feel your heart pounding and your blood pumping. But you’re also burning more fat, building more muscle, and optimizing your metabolism. This usually translates to quick quantifiable results. The quick and intense bursts require maximum effort. When it’s time to rest a muscle group you’ve just destroyed, you’ll have to blast another muscle group with an equally challenging yet completely different movement. Our HIIT workout is physically demanding. While we try to accommodate all fitness levels at BEAT Fitness, our HIIT classes involve incredibly demanding body-weight exercises that are physically taxing. This type of workout is best for those with a decent baseline of fitness. 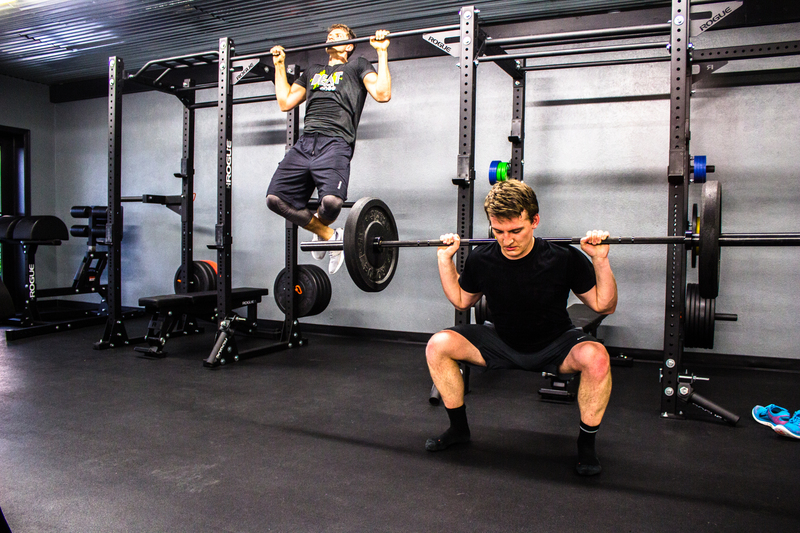 If you have some proficiency with lunges, squats, burpees, pushups, modifications of these or other functional training exercises, our Pittsburgh HIIT workout should be right up your alley. If you’re new to exercise, we want you to have a safe and successful journey. Interval training should be a goal of yours down the road. HIIT workouts are a great way to breakup the monotony of your fitness regimen. HIIT classes let you learn your body and how to simultaneously work it harder and smarter. Interval training involves a variety of movements that don’t get repetitive or boring. It’s a full body anaerobic and aerobic workout. Your upper body isn’t just along for the ride like most cardio intensive exercise. Upper body movements elevate your heart rate and strengthen, firm and define your upper body. You’ll have more upper body strength, a stronger core, and a metabolism that’s fired up to maximize results and performance. And did we mention our HIIT classes in Pittsburgh are crazy fun? READY TO TAKE A HIIT? If you’re looking for a Pittsburgh HIIT class at a cool facility with the right blend of equipment and expertise, click here to talk to us or give us a call at 724-900-0323.